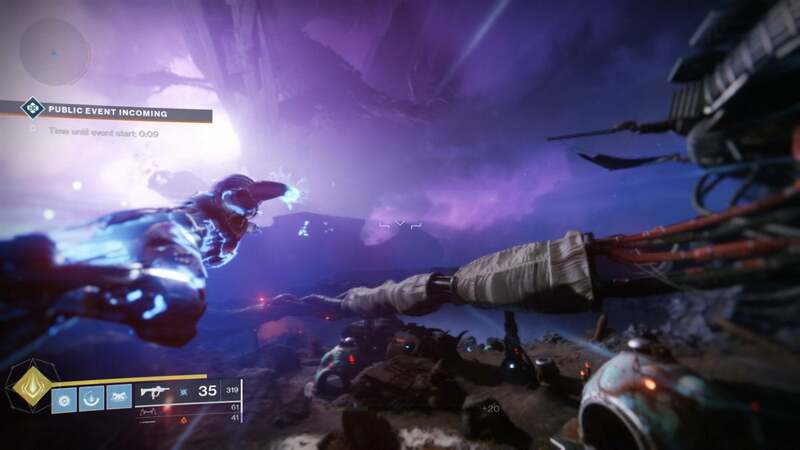 It’s hard not to feel like Destiny 2’s Forsaken expansion ($40 on Battle.net) is Bungie’s last chance. The game’s endured a rough year, with complaints starting a month or two after Destiny 2’s release and never really dying down, compounded by two mediocre-to-bad DLCs—December’s Curse of Osiris and May’s Warmind. Like the original Destiny’s Taken King expansion, Forsaken is something of a soft relaunch, a Destiny 2.5, if you will. So does it make good on its potential? And is it enough to convince lapsed players to return? I’ve spent the last day or so scratching the surface to find out, and so far, the answer is a resounding yes. But the worth of Destiny 2: Forsaken can’t be measured in a single day. First, let me say: I do mean scratching the surface. Both Curse of Osiris and Warmind I finished in mere hours. With Forsaken, I’d estimate I’m slightly more than halfway through the campaign after dedicating the better part of Tuesday to it. There’s a bit of padding built into the structure, but I’d guess it takes 10 to 15 hours depending on how efficient you are. And that’s just the campaign. 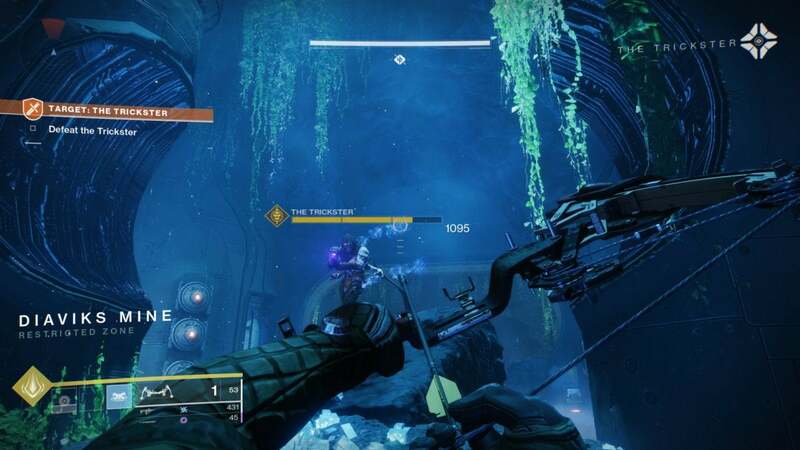 There’s also the new hybrid competitive/co-op multiplayer mode Gambit, a new free-roam area in the Tangled Shore, and a new raid that won’t be added until September 14. It’s a sizable add-on, and I plan to return with more formal impressions after I’ve spent some time with it. I think that’s important, waiting to see if the glow will dissipate after a few weeks of grind. For the moment I’m impressed though. Destiny 2’s struggled with its writing since the beginning. Bungie’s world-building is second to none. Go check out a wiki and you’ll find enormous lore dumps, enough to fill entire sci-fi novels. And the art hints at this too, each planet crafted with an attention to detail that hints at hidden depths. Bungie’s been bad at conveying those depths in ways your average player might care about though. Destiny 2 started strong but rushed into an ending with little fanfare. 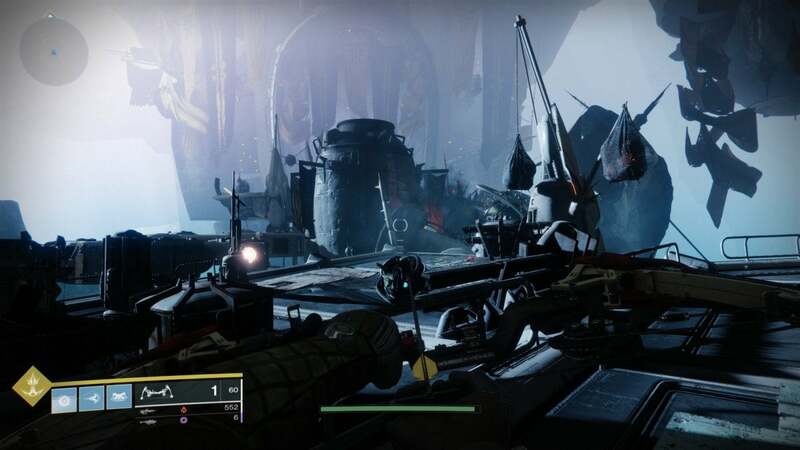 Then Curse of Osiris squandered a great setting on a structure that couldn’t support its ambitions, and Warmind blew through world-ending terror in two hours of nonsense go-here-do-this tedium. Forsaken is legitimately compelling though, at least so far. It starts with a literal bang, a hook strong enough Bungie used it in all its marketing: Fan-favorite character Cayde-6 is killed. Like, really killed. 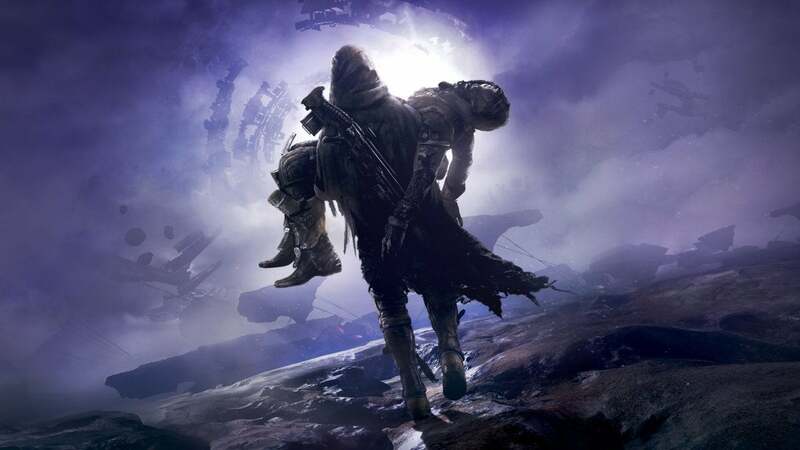 His Ghost, which normally would protect a Guardian from such a fate, is destroyed and Cayde-6 shot through the heart by Uldren Sov, Prince of the Reef. This sets up a pretty generic tale of revenge, but generic can still be good if done well. Forsaken gets it right, with a strong supporting cast that makes up for the straightforward plot. 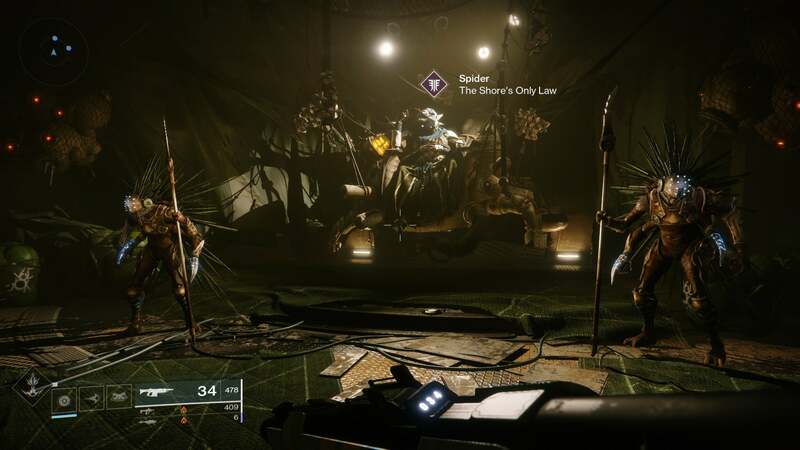 On your side, The Spider is the pseudo-mob boss of the Tangled Shore, and strikes a great balance between helpful ally and untrustworthy schemer. Your opponents are even better though. Prince Uldren presides over “The Barons,” eight boss enemies you have to track down and eliminate one at a time. Each is referred to by a nickname, i.e. The Rider or The Machinist or The Mindbender. 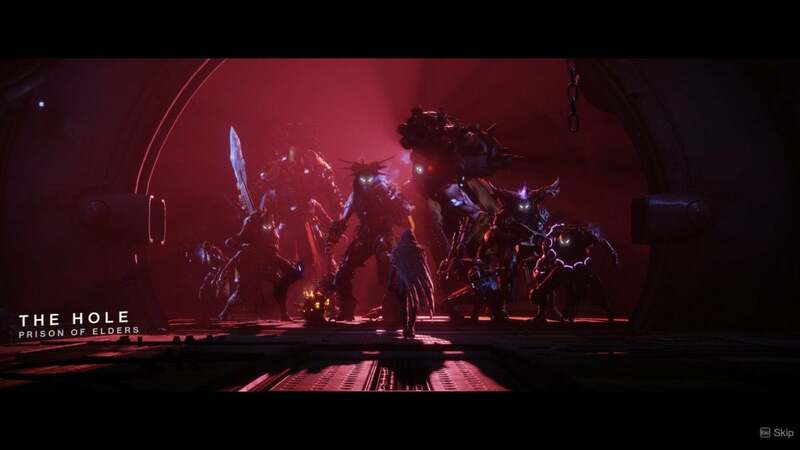 These self-styled supervillains are key to Forsaken. Destiny 2’s had a bad streak of bland antagonists. Low on personality, low on motivations, there have been a lot of Destiny 2 boss battles where I barely knew who I was fighting and why. Forsaken still rushes through its pantheon a bit too quickly, and I would love for these characters to have more time to monologue. The Barons are very distinctive though, with each sporting a unique design and accompanying gimmick. It’s not very sophisticated maybe. When I was taking screenwriting classes this would’ve fallen under “giving each character an eyepatch and a scar,” a slightly derogatory way of saying the character traits are so over-the-top as to feel contrived. It works though, especially in a pulp universe like Destiny’s. And it leads to some great boss battles. The Rider for instance blasts around on her Pike, and you’re best off grabbing your own vehicle and doing some hoverbike dogfighting. The Trickster, as the name implies, is a craftier character, and the accompanying battle is more about stealth and patience. Are they all-time, best-in-the-industry boss battles? Well, no. But considering Destiny 2’s biggest fights have mostly boiled down to “Shoot it” or “Throw the ball in the hoop” so far, the varied setups in Forsaken have felt remarkably refreshing. As much of your enemy’s personality comes through in the fight itself as from the dialogue. Anyway, I’ve lots more to see—multiple Barons still stand between me and Uldren, and then I imagine there are a couple missions to wrap up Forsaken and Cayde-6’s story. At the moment it feels like a major step up though. Mechanically I’m impressed too, and that’s probably the more important part if Forsaken’s going to have staying power. I’m honestly not sure what’s been added in Forsaken and what came over the summer—I haven’t played since probably two days after the release of Warmind. There have been a lot of changes though. Most obvious is the reworked weapon system, complete with the return of random perk rolls. It’s no longer two primaries and a heavy. Now you get a kinetic weapon, an energy weapon, and a heavy. Those first two categories are a lot more flexible than they used to be, with sniper rifles, shotguns, and bows now populating as primary weapons. It’s a welcome change, and I’m curious to see how it affects multiplayer. Bows are a significant addition in their own right. It’s the ultimate mouse-and-keyboard weapon, I swear. They do major damage, especially if you can plunk-plunk-plunk out headshots with regularity, and I expect we’ll see a lot of them in multiplayer. It takes about a half-second to charge up a shot, a compromise of sorts, but those with good aim can dish out kills fast. I’m also really enjoying my new Titan subclass. Each character class has a new subclass, accessible by finishing a mission early in the campaign. The Titan Striker’s is called “Code of the Missile” and you literally fly through the air like an electric Superman, then slam into the ground with an enormous blast of energy. It’s exactly the sort of godlike powers I want my Guardian to display. And the list of stuff to do each week seems really long now. I’m most interested in The Spider’s new “Wanted” posters, which put bounties on the boss enemies at the end of Lost Sectors, and reward Legendary gear for completion. It’s a fun way to make Lost Sectors slightly more compelling. Bounties show up in other places though too, as little daily and weekly challenges. Even Tess Everis has Bounties for the Eververse, and I was given one for free when I checked her store this week. Completion awarded me 70 bright dust, which isn’t much but might alleviate some of the complaints about loot boxes. Maybe. Then there’s the return of features from the original Destiny, for true completionists. Collections are great for gear-chasers, showing you which guns, armor, emblems, and so on you’ve already attained, and also what you haven’t. 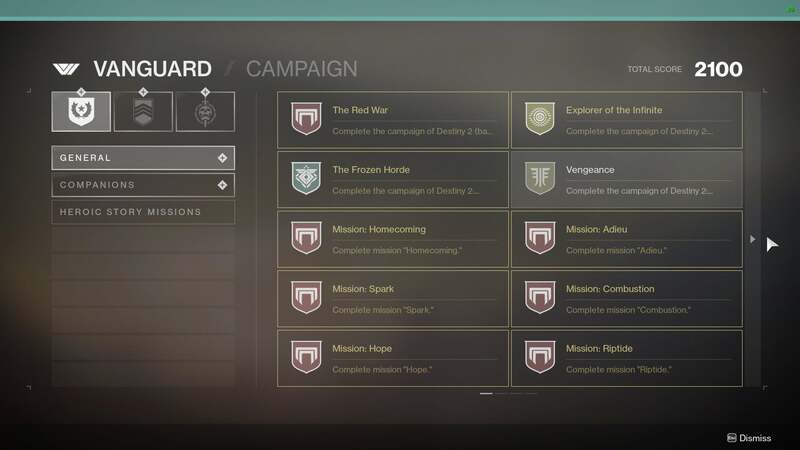 Triumphs are that, but for events—basically an in-game achievement system, tracking everything from the campaign missions you’ve completed to the number of Lost Sectors you’ve found on each planet. There’s also a Lore tab that fills up with info about the Tangled Shore, Prince Uldren, and so on. It’s an interesting read. Random weapon rolls are back. And the new Gambit mode is a blast. My only complaint so far is the reduced utility of infusing gear, or using higher-level trash gear to boost up your preferred items. This used to be essentially a free process, but now it costs both Planetary Materials (the per-planet trash items like datalattice) and Masterwork Cores. I’m all for a bit more grind in Destiny 2, but it seems pretty punishing at the moment—not to mention boring as hell. Farming those planetary materials is tedious. Again, I haven’t finished Forsaken or spent enough time to get tired of it yet. Maybe next week my opinion will have soured. It seems like a solid pivot though. The campaign’s not going to win any awards, but Destiny 2 finally feels consequential. There are real stakes wrapped around a real emotional core in Forsaken, and it’s refreshing to feel invested in whatever I’m shooting. And on a broader level, it feels like Bungie’s finally catered to the core devotees willing to spend hundreds of hours on the weekly grind. 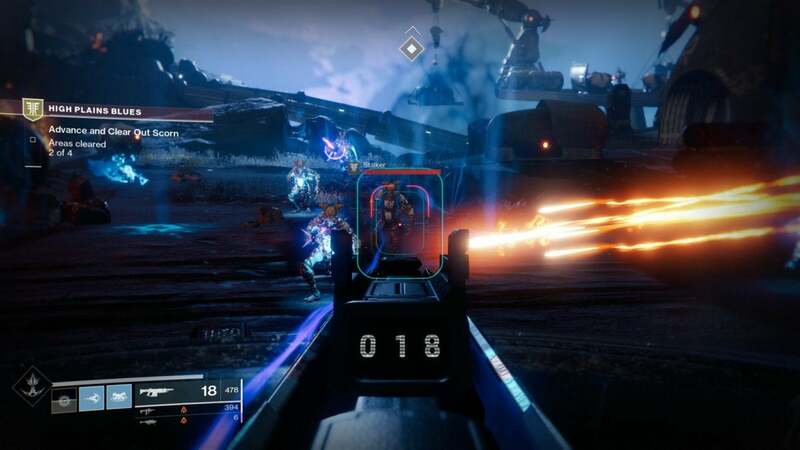 That might not be as appealing to Bungie from a sales perspective, but it does seem more in line with the type of game Destiny 2 so desperately wants to be. Fool me as many times as Destiny 2 though, and let’s just say I’m skeptical even after an entire day with Forsaken. Let’s give it a week or two, finish the raid, and then we’ll see where we are.